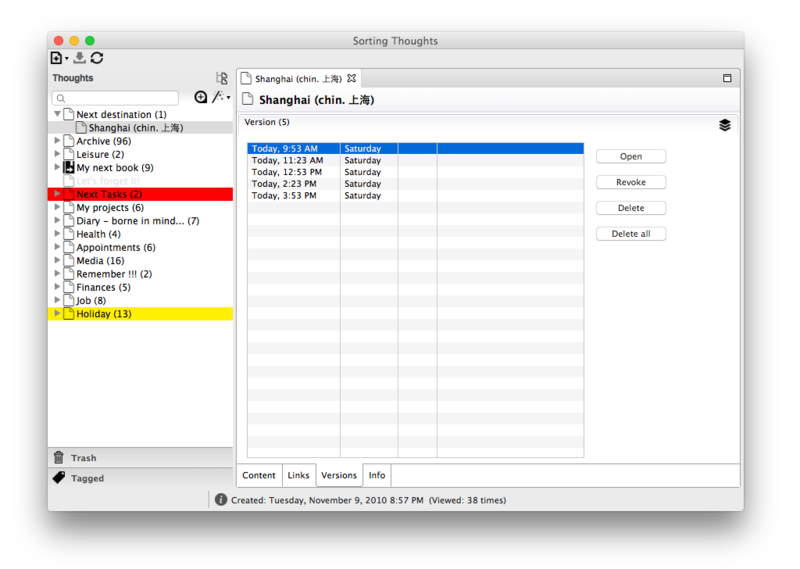 The next big update of Sorting Thoughts for Mac OS X and Windows is around the corner. And it’s time to take a closer look at the new features. I hope you will like the new version too. Thoughts are the center of interest in ST and the main focus should always be on it. The new minimal UI design with gray colors and icons should emphasize this focus. If you like the design of the ST iOS version, I’m sure you will like the new UI too. 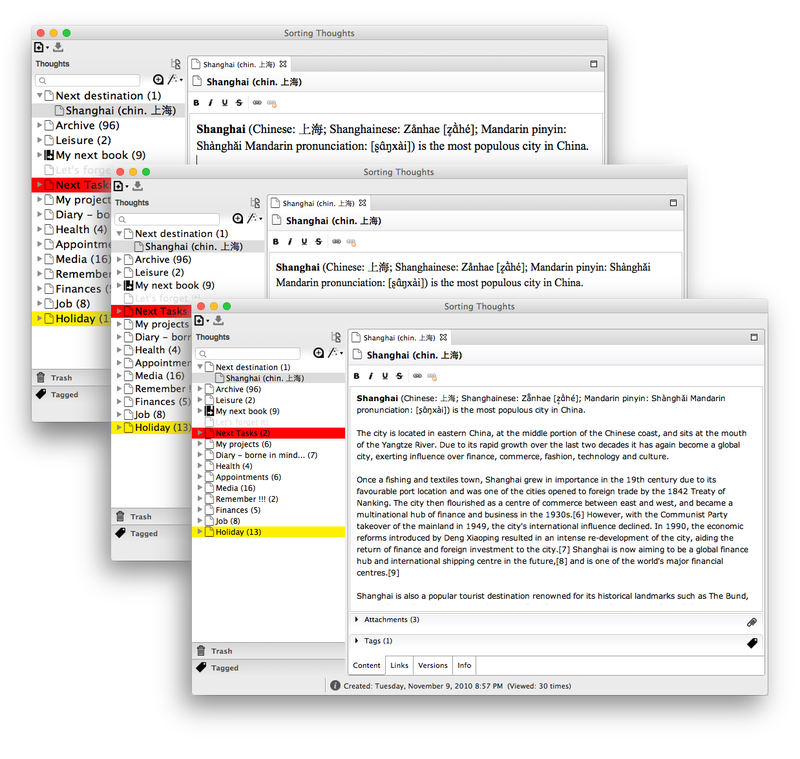 Finally, the new version allows it to change the font size in thought tree and editor. All saved changes on thoughts will be automatically versioning. It is possible to track changes and you can see the history of a thought. 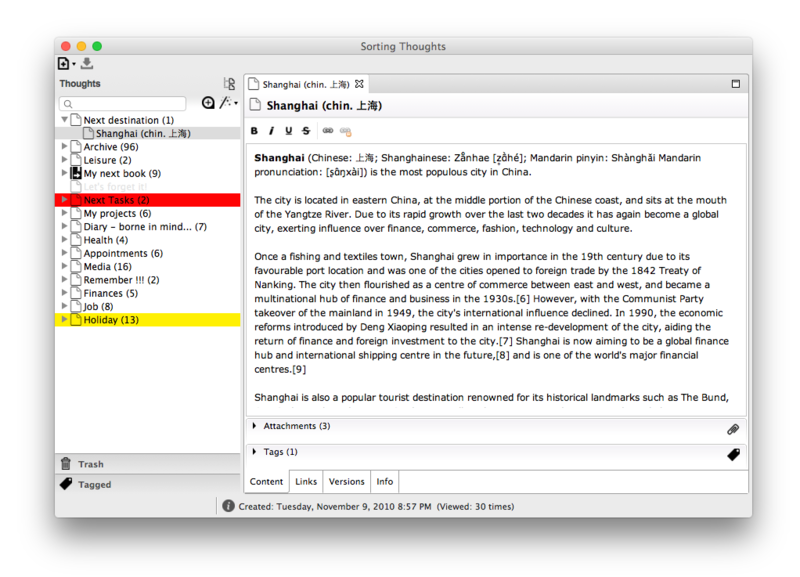 The new version view allows you to restore a old thought version. 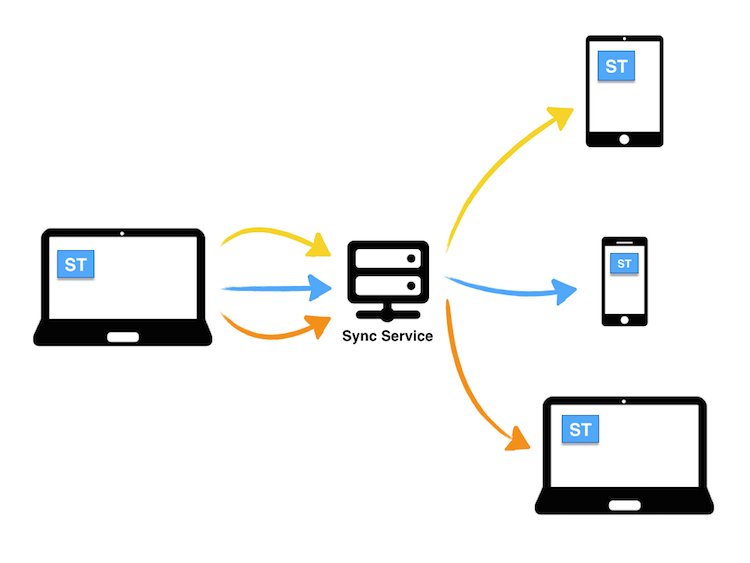 The sync service which is already available for the iOS version will be also integrated in the desktop version. You will be able to sync all your thoughts between the desktop and iOS app in a wireless and secure way by full end-to-end encryption (E2EE). If you already use the sync service with the iOS app you will have no extra costs. Your subscription is also valid for the desktop version. Otherwise, I will offer a one month subscription for US $1.99 and a one year subscription for US$ 14.99. Good news – the upgrade to version 2.0 is free for all users of the old version. And I will change the license model to a life time license which means all coming updates are paid with one license until the end of Sorting Thoughts. But I have also bad news for those who waiting for the new Android version of Sorting Thoughts. I have decide to stop development on the Android version, because I have simply not enough time to bring the same features in the same quality to Android. In the future the mobile version of Sorting Thoughts will be exclusive for iOS resp. iPad, iPhone and Apple Watch. At the moment, I have no fix release date but I hope that the release will be ready in few months. Stay tuned! Any comments? Please share your comment on my Twitter or Facebook page. Or simply contact me on my support page. Thanks!